Solidago virga-aurea (European variety) Stimulating/calming effect on wounds that need to be cooled and stimulated for healing. 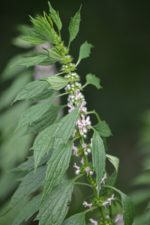 The herb has aromatic essential oils which carry into the respiratory sphere, so it’s great for allergies, low-grade bronchial infections, important as a kidney remedy to stimulate kidney functions. Good in treating edema & skin sores. Goldenrod opens pores of the skin, legs, and scalp, and assists in digestion. Goldenrod arrived on the shores of Europe around the 1700’s. The European goldenrod quickly became a most respected go-to herb for it’s amazing healing benefits, and became widely used by many herbal practicing communities. Native to North America, goldenrod was well known and often used by the native American’s. 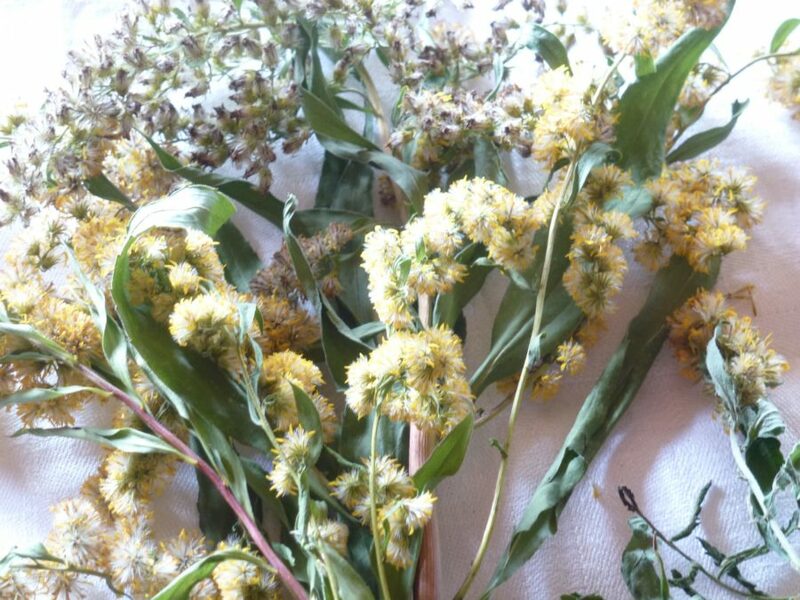 Native American’s used this crafty herb to treat urinary tract infection and upper respiratory inflammation. In the early spring, meadows and plains across the great mid-west are in full bloom with goldenrod. I’ve been walking throughout the country side of Switzerland for years now. I often find myself walking by the garden plots of very old homes. Many old homes have their “build” date scripted on the top eves, thus revealing over 300+ years old, thus, making you feel very young. Most of these homes had delicate, ornate garden plots, encased by an old iron fence, about knee height. These old gardens were usually filled with flowers, vegetables and an in-depth herbal section. Kind of the remnants from a potager garden which most, if not all stately homes had back in the 1700’s. Potager gardens were the lifeline to survival and contained essential herbs which had immense healing values. One can conclude that the European Goldenrod has been flourishing around these parts for hundreds of years. Yet, strangely very few people know the name of the herb, or what (if anything) it does. As a result of the goldenrod’s good looks and illuminating colors, you will not miss it. The color is bright yellow and stops short of shouting “pick me”. Pay attention to this lovely yellow blossom, and look beyond the superficial beauty. Goldenrod has an strong history as being widely used in Europe for its extensive healing properties. For instance, it aids in healing sores, infections, toothaches, wounds and burns. Many folks use it internally to treat kidney and urinary tract infections, digestion and respiratory health. Additional uses are as a tea, or astringent in treating upper respiratory congestion, allergies, sinusitis and the flu. I’ve also read that it is the best dryer of the sinus. Additionally, Goldenrod has great diuretic properties. 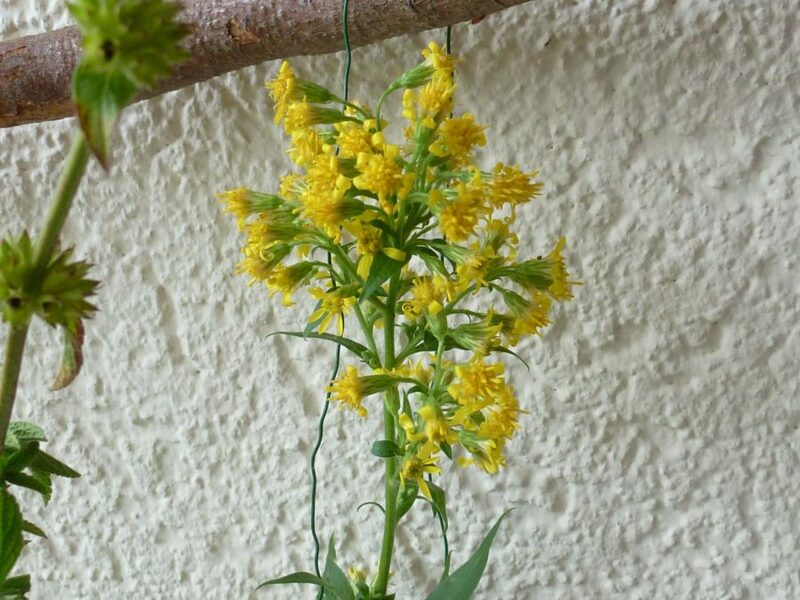 Next time you see a goldenrod sitting in nature, just don’t walk by it, pick it. Read up on all the good this tiny, yet beautiful yellow flower has to offer. It can ad to enhancing our health. Exhaustion, allergies including conjunctivitis, acne in sheets on face, dark urine, dry scalp/skin, or edema and swelling, old lung conditions with mucous, tired lower back, tired feed, exhausted kidneys, bladder irritation in early stages, inflamed wounds. After writing this document, I noticed this herb today. It’s late summer, and the flowers are in full bloom. Since the leaves are only used in healing, I need to make a mental note on recognizing the leaves in early Summer, and try to look around the same location as I saw it in full bloom. Chances are, it will be there year after year, in the exact same spot!